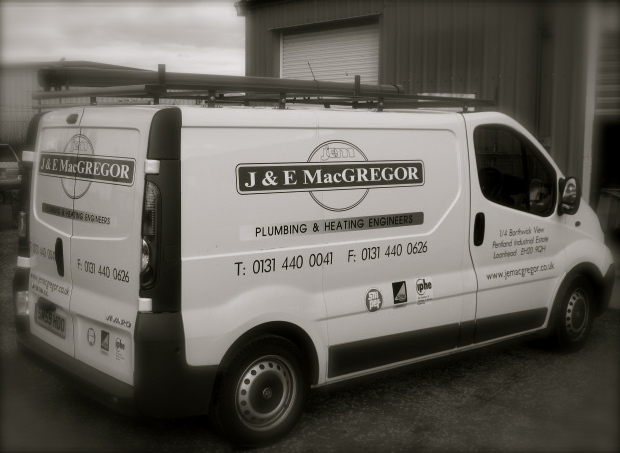 In 1991, John and Euan MacGregor started the Edinburgh based partnership, J & E MacGregor Plumbers, working out of their office in Corstorphine High Street. Within a short while the ability to do all things gas was added and they became Plumbing and Heating Engineers. During the following years the Partnership grew to the point, where, in 2002 the Company moved to bigger premises in Loanhead, from where we’ve operated out of since. We have now been established for 20 years, with the decision to turn the Partnership into a Limited Company taken in 2009. ‘Do it once, do it right’. This is our mission statement, and although we don’t claim to hit this target 100% of the time, our commitment to our customers is that we will always strive to give the customer 100% satisfaction, if however, any work is not up to our high standard, we will immediately rectify it, to the customer’s satisfaction, as soon as is reasonably possible. As a member of SNIPEF, the Gas Safe Register and SAFEcontractor, and with over 20 years of experience we hope we have all the right credentials for meeting the demanding needs of our customers. The quality and service provided by J & E MacGregor does not mean higher charges. In a recent survey the company’s transparent pricing structure was very much ‘middle of the road’, and when combined with our comprehensive back up service and guarantee, our charges are very competitive. Work is carried out on an hourly rate, or a fixed price can be given for larger jobs. Our rates are completely transparent and a full schedule is shown on our Company Charges page, and all invoices show a breakdown on how your job has been costed – see our company charges page for details. Companies, must have their reasons for not joining, but here at J & E MacGregor we believe that every good plumber should be a member of their governing bodies, to ensure a commitment towards quality. We are therefore, a member of SNIPEF (Scottish & Northern Ireland Plumbing Employers’ Federation) and the CIPHE (Chartered Institute of Plumbing and Heating Engineering). As stated above, we are experienced gas engineers, fully registered with the Gas Safe Register (formally under Corgi) which allows us to carry out all our domestic gas installations and maintenance. As part of our on-going commitment to the industry and our customers, we have for some time now been a member of SAFE Contractor, which ensures the Company’s Health and Safety policies and procedures are legislation compliant and up-to-date.